While it is worth to inform, it is worth more to spend the time to view the artwork itself. 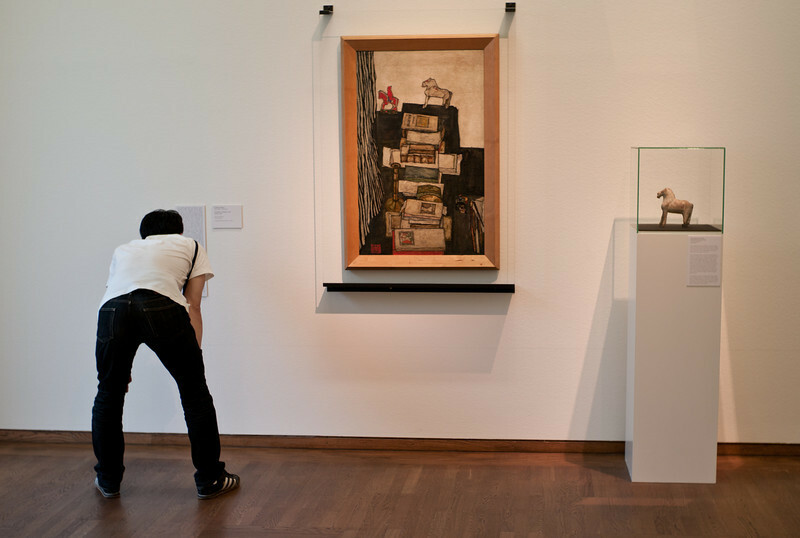 You can see the original toy horse Schiele used to paint his "Schiele's Desk" painting. Even admiring this painters anyway for a several number of reasons, seeing this clear and so perfectly painted is amazing. Great to see the original and the painted version 'live'.